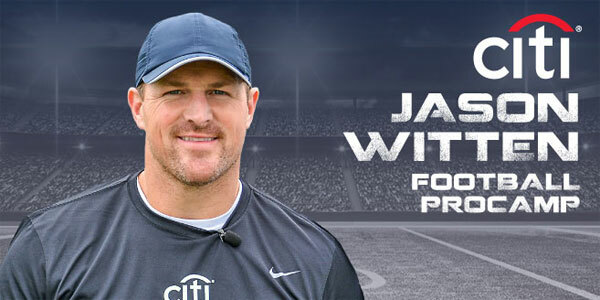 Learn from and interact with Dallas All-Pro Tight End Jason Witten! 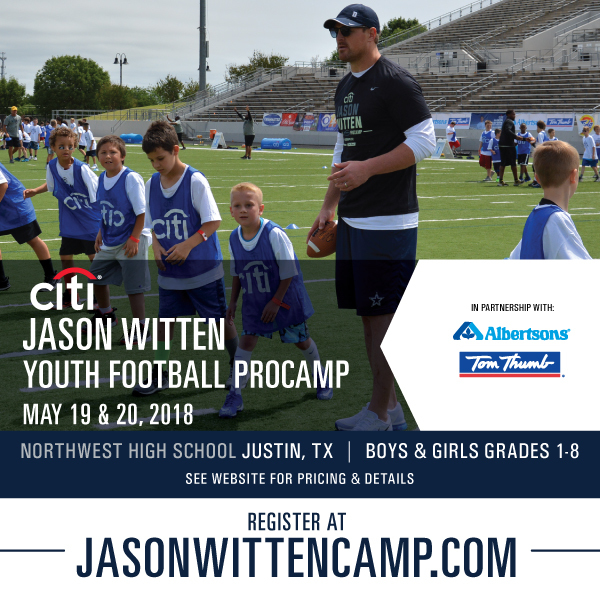 Throughout his two-day camp, Jason Witten and our coaches will offer tips and hands-on instruction, including lectures, fundamental football skills stations, contests, and non-contact games in a high-energy, fun, and positive environment. Campers will be placed in small groups by age to ensure that each child gets maximum instruction. The comprehensive camp experience is great for athletes of all skill levels, whether they are new to the game or have been playing for years. Individual and team awards will be given in each age group. We are committed to providing your child with the experience of a lifetime at an affordable price.